Anti Hopper System: As voter’s balances are calculated as we forge blocks, hoppers will not be able to receive payouts. Hoppers are penalized by losing their accumulated balance. Daily Payouts: Daily payouts for accounts with at least 35 Ark. 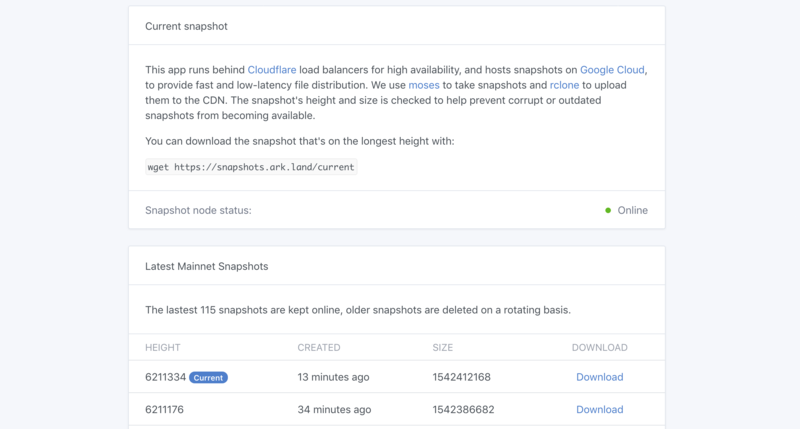 The min balance to receive a payout for smaller wallets is 0.01 Ark. Minimum Vote: 5 Ark: You need to have at least 5 Ark to vote for us. If you don’t, please contact us before voting. 100% Voter’s share: We’ll share 100% with our voters for the next weeks of November!! Fees are covered by the pool All payment fees are covered. To get your voting fee covered by us, please post a reply here with your wallet address, within 1 week after you’ve voted for us. We believe this is a great starting point to ensure fair and consistent payouts. This pool is great for both small and large voters, but small voters get to enjoy daily payouts and covered payment and voting fees, we’re the only delegate that offer such benefits! We also support the devnet by maintaining a devnet node hosted in Canada. All nodes are protected against DDOS attacks. To get started voting for us, vote for the delegate “arkland”. Free transactions for all of our voters! Active member on the community, always welcoming and helping new members and developers to get started with Ark and its forks. Thank you very much for reading my proposal, I hope to have you as a voter and to start sharing my forged Ark with you soon! I have increased the voter’s share, out of 100%, 2% will be assigned to a development fund which will be used to further develop the panel and to build useful services on the Ark Ecosystem for the community, 92% will be assigned to voters. The remaining will go towards paying fees, costs and the delegate as usual. Cheers! We’re on position 52! We only need 310k more votes It’s very close, hoping to start forging very soon! Only need 100k more votes guys! So close! 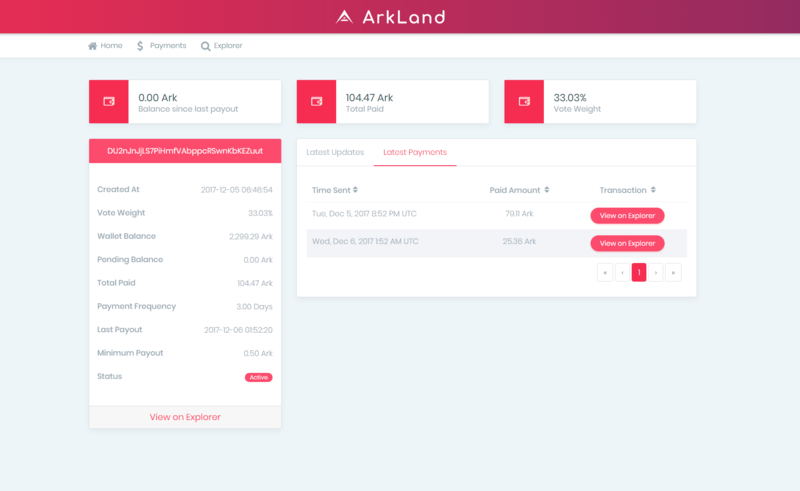 Edit: Quick edit to let you know that our first payment cycle has been sent out: https://ark.land/payments/2017-12-09 - Thanks! Last payment schedule has been sent out! https://ark.land/payments/2017-12-12 I’ve also decreased the min payout from 0.5 Ark to 0.1 Ark to support smaller wallets. 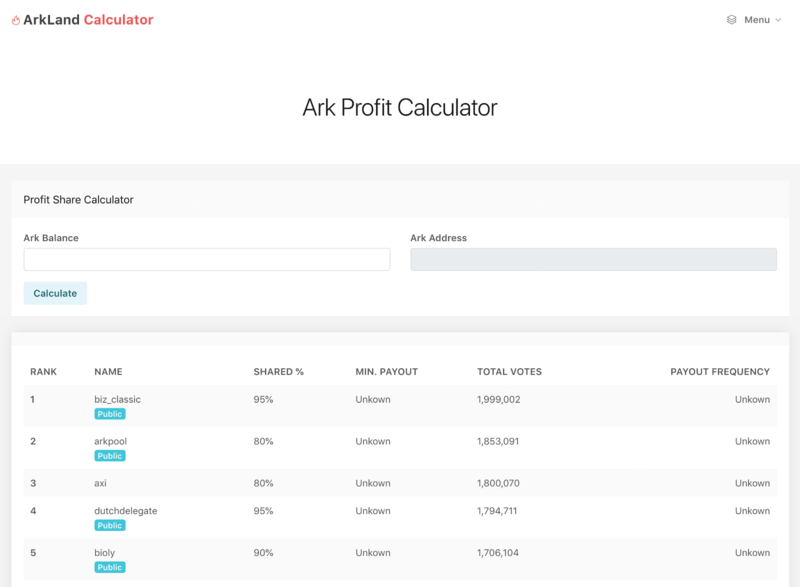 A profit calculator is coming to the site soon! 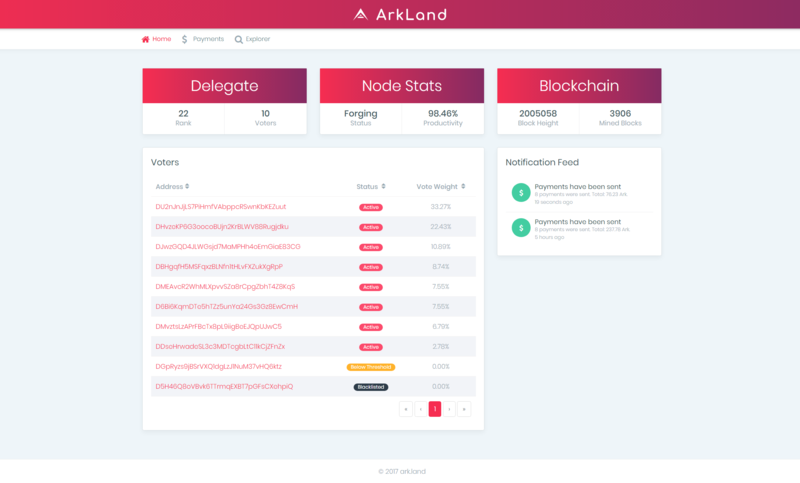 To stay up to date with everything about ArkLand, feel free to follow us on Twitter: https://twitter.com/ArkLandDelegate - cheers! We’re running our first Christmas Lottery! Our first Christmas Lottery runs on the Ark’s smart bridges! There are 100 tickets available, from 000 to 099, and each ticket costs 1 Ark (1.1 Ark including the transaction fee). Drawings will happen on December 26th, at midnight EST time (UTC -5), and one lucky winner will be awarded up to 100 Ark! As a collateral, Jarunik is holding 100 Ark in escrow, which can be verified here. We’ll use randomresult.com to pick the winner. We have scheduled it to run at 00:00 Eastern Time on December 26th. It will pick 20 random ticket numbers, just in case we don’t sell all the tickets, and the first number it picks that has a matching purchased ticket will denote the winner. You can verify the drawings result here. This url has been permanently stored in the blockchain, so users can verify that it has not been changed. Our voters will have their transaction fee (0.1 Ark) credited to their balance and paid out after the winner is picked. This service has been funded by the 4% profit share dedicated towards the development of Ark related services as stated in our proposal. 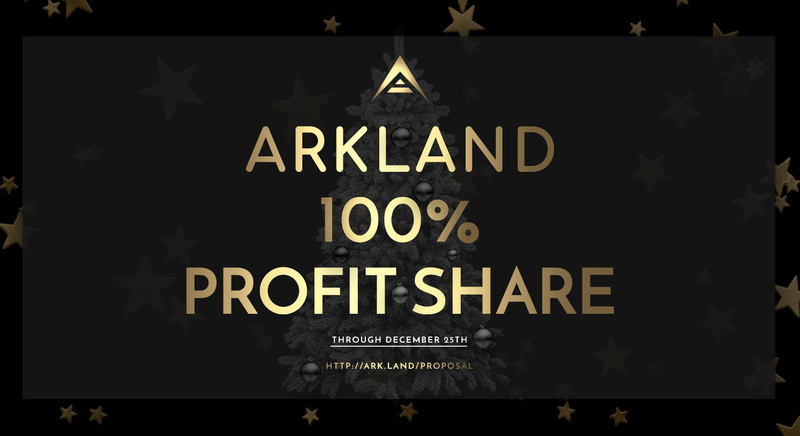 We’re paying out 100% of what’s accumulated from selling the tickets, check it out on https://lottery.ark.land/, good luck and happy Holidays! Ticket #019 is the winner! Congratulations and Merry Christmas!!! We’ve sent out the payment: https://explorer.ark.land/tx/9c2da2a0f09fda9130fed02b5801c20c8ec9e1ab435fad88189c1032b061fa4c | Enjoy! The drawing result is here: https://www.randomresult.com/ticket.php?t=517552SBN4H We draw 20 numbers just in case not all tickets are sold, so if the first picked number does not match to a ticket number that was purchased, we have more draws. Fortunately we sold all tickets, so the first draw, #019 is the winner. I just opened my Ark wallet and saw +100 and had no idea where it came from. Then I realized I bought a ticket in your contest and I won! I just wanted to thank you and let you know it means a lot to me! First time ever I won something bigger! Have a nice holiday and happy new year! We’re at position #52 now, need about 2k votes to get back to top 51! Edit: We’re back in the top #51. Thanks for the support! 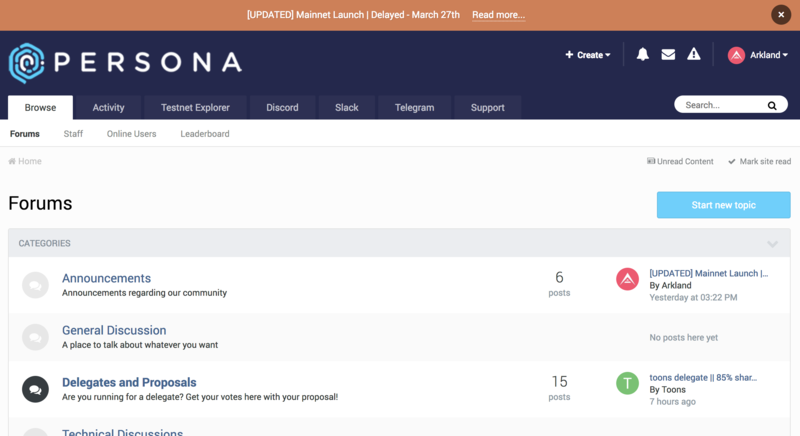 We’ve heard a lot of good feedback from you guys, and implemented your ideas to this version. Like the Christmas Lottery, this version also runs on Ark’s Smart Bridges. There are 350 tickets available, from 000 to 349, and each ticket costs 1 Ark (1.1 Ark including the transaction fee). Drawings will happen on January 1st, at midnight EST time (UTC -5), and we’ll have 3 lucky winners! The first place gets 200 Ark, second place gets 85 Ark and third place gets 50 Ark. We’ll use the third party randomresult.com to pick the winner. We have scheduled it to run at 00:00 Eastern Time on January 1st. It will pick 40 random ticket numbers, just in case we don’t sell all the tickets, and the first three numbers it picks that have matching purchased tickets will denote the winners. You can verify the drawings result here. This url has been permanently stored in the blockchain, so users can verify that it has not been changed. The Ark accumulated in this raffle will be sent to the winners on January 1st after the drawing, just like before. Around 4% of the total accumulated is spent on transaction fees for refunding ticket orders that are placed within 45 seconds one from another. Edit: Sold out! We’re officially sold out! Orders can be verified here: https://2018raffle.ark.land/orders | Drawings result will be available here http://www.randomresult.com/ticket.php?t=521094YV32L on January 1st. Good Luck and we wish you all a very blessed and happy New Year! @arkland : Job well done!!! Your raffles are providing great support!! Hey @michaelthecrypto, thank you for the support! I’m happy you like it, if you bought a ticket, good luck! Happy New Year as well, cheers! The New Year’s Raffle is officially sold out! Orders can be verified here: https://2018raffle.ark.land/orders | Drawings result will be available here http://www.randomresult.com/ticket.php?t=521094YV32L on January 1st. Good Luck and we wish you all a very blessed and happy New Year! I have set my vote for ArkLand. I voted for you and wish you all the best! Looks like your connection to ArkLand || Anti Hopping System || True Vote Weight || Daily Payouts || ArkLand Raffles! || Covered Fees | We cover your voting fee! || NO Min Balance for Payouts! || The Best Pool for Small Voters (Great For Large Voters Too!) was lost, please wait while we try to reconnect.